Photo by Barry Evans. A "Panamax" container ship makes its way through Miraflores locks. Panamax vessels are built specifically to just pass through the locks with barely a foot of room on each side. A ship this size pays about $300,000 per passage. The Panama Canal is a 50-mile long waterway connecting the Atlantic and Pacific oceans. This year marks the centenary of the link that, in 1914, drastically changed global commerce by cutting 5,000 miles off the dangerous "round the Horn" route. However, if the architect of the Suez Canal, Frenchman Ferdinand de Lesseps, had succeeded with his second great canal venture, Panama would have opened 10 years earlier and under a French flag rather than an American one. The French attempt was abandoned in 1897, after 13 years and a cost of nearly $300 million and tens of thousands of lost lives. Why did the subsequent American attempt succeed? Three words: design, machinery and sanitation. Design: Like the Suez, the French design called for a sea level ocean-to-ocean connection, without the complication of locks. In 1904, when Washington paid $40 million to acquire the French equipment and excavation, the U.S. engineers also envisaged a sea-level canal. However, they were soon convinced that excavating the 8-mile-long "Culebra Cut" to below sea level would be a Herculean task, and they redesigned the canal to incorporate locks, thereby reducing excavation to manageable volumes. Coming in from the Pacific, two sets of locks raise ships 85 vertical feet to the level of Lake Gatun, the world's largest artificial lake in 1908, after the damming of Panama's Chagres River. A third set of locks drops ships back to sea level at the Atlantic end of the canal. Machinery: U.S. canal builders used excavation equipment that dwarfed the French machinery of 20 years earlier. The largest excavators, including giant 100-ton capacity "Marion" (for Marion, Ohio) rail-mounted steam shovels, were specifically designed and built for the project. Sanitation: The French failure cost the lives of 22,000 workers, mostly victims of yellow fever and malaria. U.S. authorities took full advantage of Cuban doctor Carlos Finlay's controversial claim in the late 1800s that the mosquito is the primary vector in transmitting yellow fever. Before work began, U.S. public health officials, under the leadership of U.S. Army physician William Gorgas, undertook a comprehensive sanitation program to minimize diseases, including: installing piped water systems, fumigating buildings, installing screens and mosquito nets, and draining stagnant water breeding sites. Mosquito-borne diseases, which until then had been responsible for the death of about 10 percent of the workforce annually, were virtually eliminated within two years. The 10-year project cost nearly $400 million (equivalent to about $9 billion today). 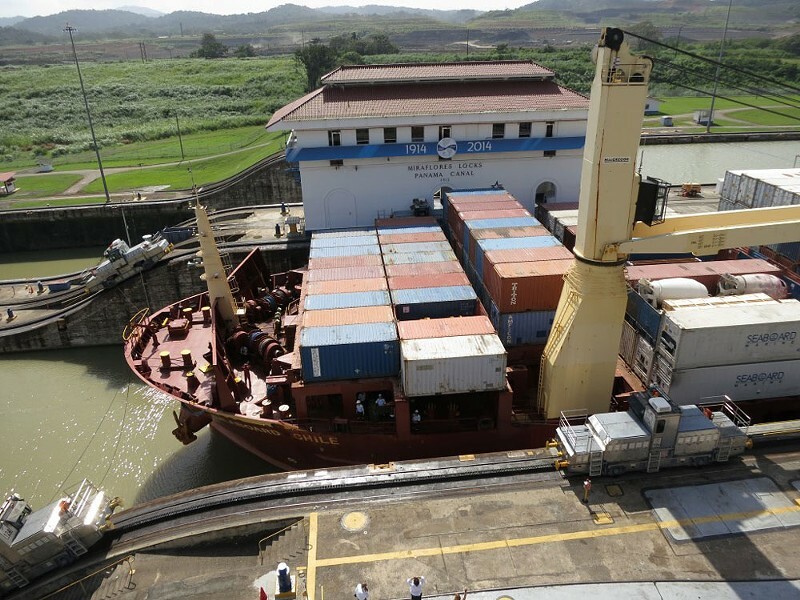 After 84 years of U.S. control, the canal was handed over to the Republic of Panama on December 31, 1999, and today the future of the canal is assured. The millionth ship passed through the canal in 2010, and now it's virtually maxed out as about 40 ships — mostly container vessels — make the 20 to 30-hour passage daily (equivalent to some 300 million tons of cargo annually). New, larger sets of locks currently under construction will soon double the capacity of the canal. Chances are, many of the products in your home — electrical appliances, clothing, wine, fruit and perhaps even your car — came to you via the Panama Canal. It's hard to overestimate the influence the canal has had on world trade during the past century. With completion of the new locks, it will continue to do so. Barry Evans (barryevans9@yahoo.com) first sailed through the canal in 1963. Since then, his awe of the "eighth wonder of the world" hasn't diminished.